The capital city of Chechnya republic: Grozny. 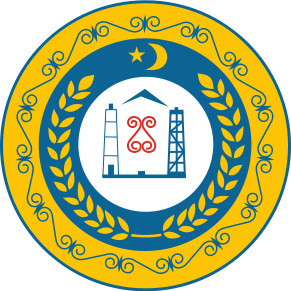 Chechen Republic or simply Chechnya is a federal subject of Russia, part of the North Caucasian Federal District. Grozny is the capital city of the republic. The population of Chechnya is about 1,394,000 (2015), the area - 15,647 sq. km. 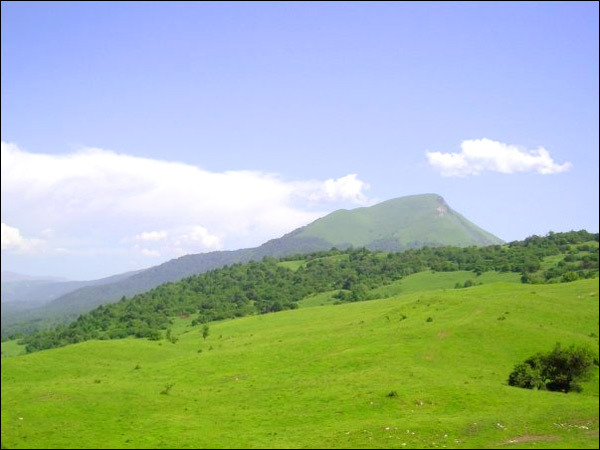 27 August, 2015 / Historical and natural monuments of mountainous Chechnya. 23 February, 2015 / Lake Kezenoyam - the largest lake in the North Caucasus. 18 November, 2014 / Mountainous Chechnya in late autumn. 3 January, 2012 / The views of Grozny city rebuilt after the war. 7 October, 2011 / The celebrations of City day in Grozny. 12 May, 2011 / Diego Maradona took to the field Wednesday to captain a team of retired superstars in a ceremonial match to mark the opening of a new stadium in Chechnya. 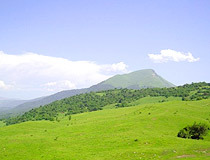 In the 13th century, as a result of the Mongol invasion, the ancestors of the Chechens were forced to leave the plains and go to the mountains. 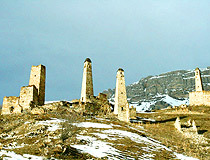 In the 14th century, the Chechens formed an early feudal state called Simsir. Later it was destroyed by the troops of Tamerlane. After the collapse of the Golden Horde, the plains of present Chechnya came under the control of the Kabardian and Dagestani feudals. 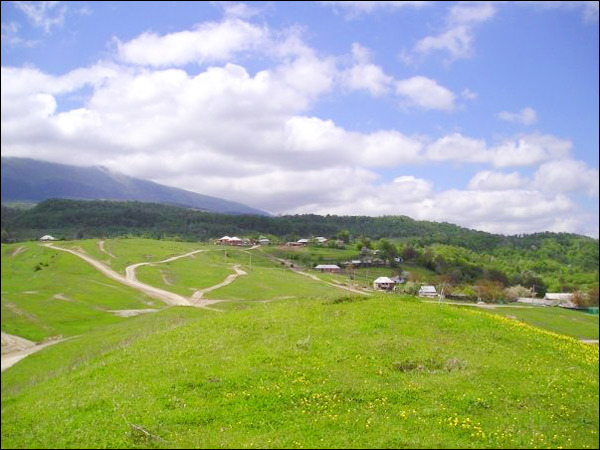 Until the 16th century, forced to leave flat lands, the Chechens lived mainly in the mountains. 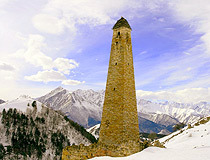 From the 16th century, the Chechens gradually began to return from the mountains to the plains of Chechnya, in the valley of the Terek River, the banks of the Sunzha and the Argun rivers. At the same time, the expansion of the Russian state in the North Caucasus began, following the defeat of the Astrakhan Khanate. During the reign of Peter I, the Russian army for the first time came to the Chechen land. 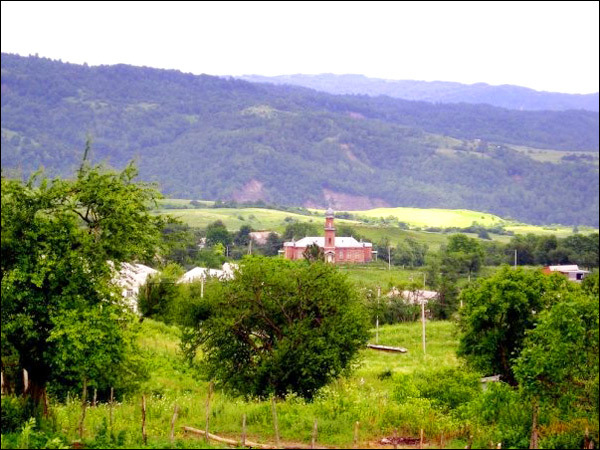 In the early 18th century, Chechens received their name in the Russian sources - after the name of the village of Chechen-Aul. The first military campaigns did not pursue the goal of accession Chechnya to Russia. It was a response to the constant attacks of the Chechens on the Terek Cossack settlements. The Chechens earned a reputation of dangerous brigands constantly harassing the country’s borders. From 1721 to 1783, punitive expeditions of Russian troops in Chechnya to pacify “unruly” tribes became systematic. In the 19th century, after the Caucasian War, most of Chechnya became part of the Russian Empire. At the end of the 1930s, Chechnya and Ingushetia regions were combined and the united Chechen-Ingush Autonomous Republic was formed. In 1944, most of the Chechens and Ingush were deported to Kazakh SSR (present Kazakhstan) and Kirghiz SSR (Kyrgyzstan). The official reason of Stalin’s decision was that it was a punishment for cooperating with Nazi Germany during the Second World War. Later, after 1956, the surviving Chechens and Ingush were allowed to return to their homeland according to Khrushchev’s de-Stalinization program. In the mid-1980s, national movements intensified in many republics of the Soviet Union including the Chechen-Ingush Republic. The leader of the local movement was Dzhokhar Dudayev, a major general of the Soviet Air Force. Boris Yeltsin, the first president of Russia, argued that Chechnya could not gain independence because in Soviet times the region was always part of the Russian Soviet Federative Socialist Republic. Another reason was that if Chechnya could gain independence then some other regions of Russia (for example, Tatarstan) would also like to gain independence. In 1991, Chechnya declared its independence and Dzhokhar Dudayev was elected president. The Congress of People’s Deputies of Russia declared the election illegal. Boris Yeltsin issued a decree imposing a state of emergency in the republic. In response, Dudayev declared martial law and ordered the creation of armed self-defense units. November 9, 1991, transport planes with Russian soldiers landed in Khankala airport but they were blocked by the Chechen self-defense units. Confederation of Mountain Peoples of the Caucasus announced support for Chechnya. The Russian government had to negotiate with the separatists and achieved the withdrawal of troops blocked in Khankala. All Russian troops stationed in Chechnya were withdrawn, and most of the weapons, including tanks and aircraft, got into the hands of separatists. The region was actually split into two: Chechnya and Ingushetia. Chechnya de facto became an independent republic, but it was not recognized by any country in the world, including Russia. Later, in 1994, the first Chechen war began, it lasted for more than two years. Russia fought to stop Chechnya from seceding while the Chechens fought for their independence. The Russian army had more human resources, artillery, air support but it could not effectively control mountain areas where Chechen guerrillas operated. April 21, 1996, Chechen President Dzhokhar Dudayev was killed in an airstrike. August 31, 1996, in the Russian city of Khasavyurt, a representative of Russia (Alexander Lebed) and a representative of Chechnya (Aslan Maskhadov) signed a peace agreement, according to which the Russian troops were withdrawn from Chechnya, and the decision on the republic status was delayed for five years (until December 31, 2001). Chechnya again became de facto an independent but not-recognized state. In 1997, Aslan Maskhadov was elected as the president of Chechnya. He continues to strengthen the independence of Chechnya but at the same time asked for Russian help to rebuild the war-torn republic. Russia transferred money intended for the restoration of the republic, pensions, maintaining hospitals and schools. Later, in August 1999, Chechen forces launched an attack on neighboring Dagestan Republic trying to help Shura of Dagestan who wanted Dagestan to be independent from Russia. In September 1999, several bombs were detonated in apartment buildings in Moscow and other Russian cities. The Chechens were accused of these terrorist acts and the second Chechen war began. At this time, the Russian army was better prepared. It could establish control over all parts of Chechnya. In February, 2000, Grozny, the capital of the republic, was captured. Today, the Chechen resistance is almost completely suppressed. However, terrorist attacks continue to occur in the North Caucasus. 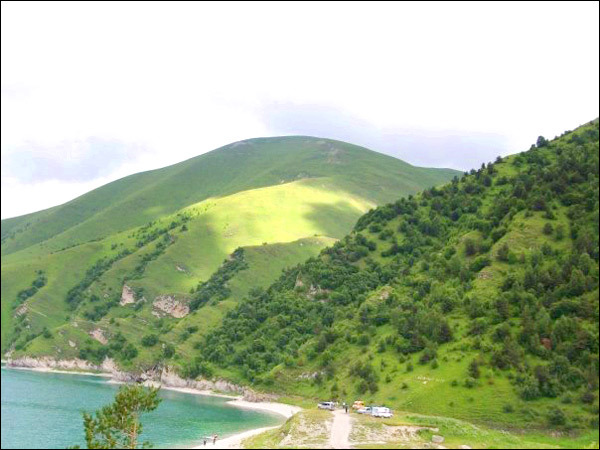 The Chechen Republic is located in the North Caucasus, in the valleys of the Terek and Sunzha rivers. 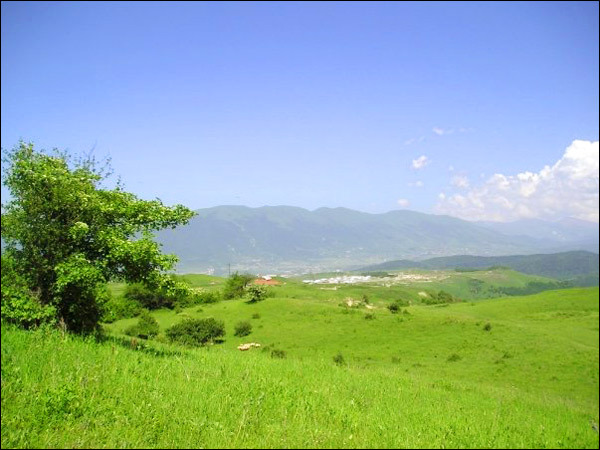 In the northern districts there are steppes and semi-deserts (Terek-Kuma Lowland), in the center - forest-steppe plains (Chechen Plain), in the south - the Caucasus Mountains. Mountain ranges, valleys and intermountain basins cover about 35% of the territory of the republic. Mountains occupy the entire southern part forming a band 30-50 km width. 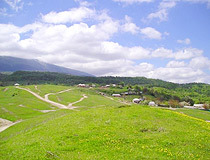 In the south Chechnya borders Georgia. 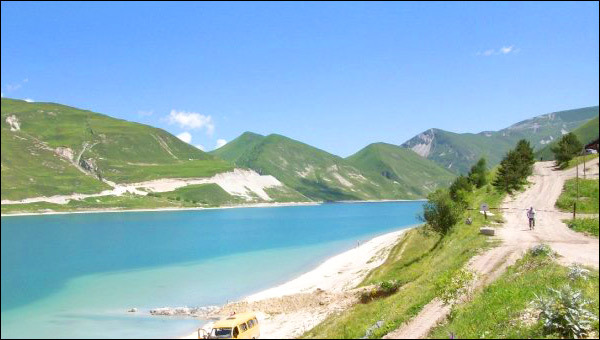 From north to south of the Chechen Republic stretches 170 km, from west to east - more than 100 km. 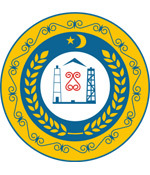 The largest cities and towns are Grozny (283,700), Urus-Martan (57,000), Shali (52,000), Gudermes (52,000), Argun (35,000). The climate is continental. Chechnya is characterized by a considerable variety of climatic conditions. The average January temperature is between minus 3 degrees Celsius on the Terek-Kuma Lowland and minus 12 degrees Celsius in the mountains, the average temperature in July - plus 25 and 21 degrees Celsius respectively. Oil and natural gas sector dominates in the structure of the economy of the Chechen Republic. There are about 30 oil and natural gas fields in the region. 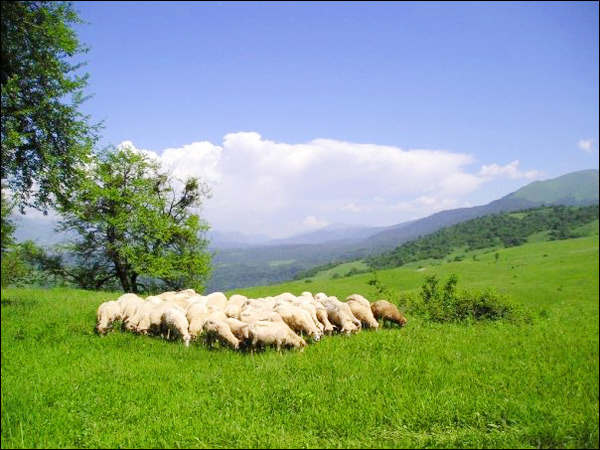 Crops, vineyards, vegetables, poultry farming, and sheep breeding are the basis of agriculture. There are about fifty state monuments of nature in the region. 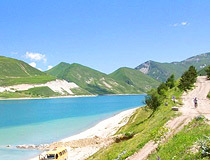 Picturesque mountain scenery and lakes are of interest to travelers and tourists. Some natural resources (mineral and mud springs) have medicinal value. 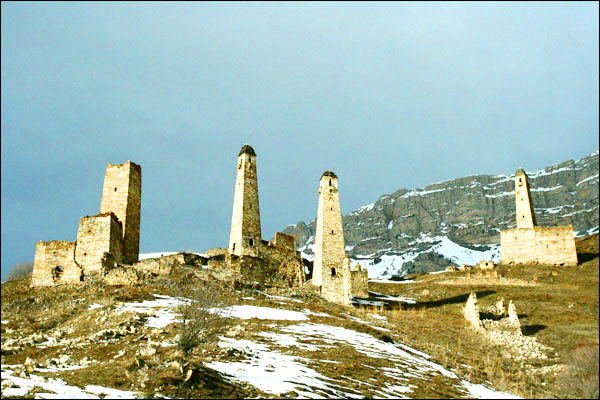 Stone towers rising above mountain villages are one of the main attractions of the mountainous part of the Chechen Republic. 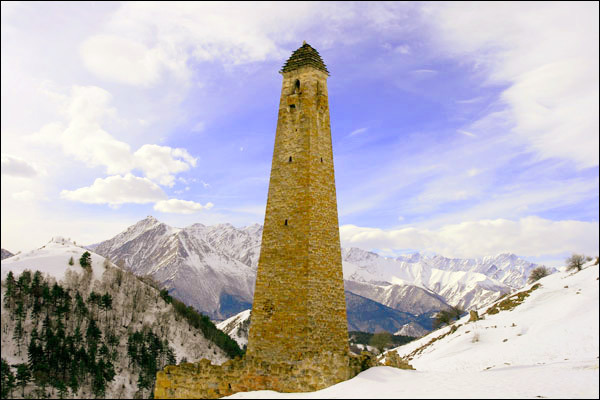 These towers, built in the 14th-18th centuries, are considered the highest achievement of the stone architecture of Chechnya.